Social Security provides the basic foundation for the economic security of retired workers, workers who become disabled before retiring, and the children and spouses of workers who die or become disabled. Social Security is particularly important for workers, such as most direct care workers, who received modest compensation for the work they did during their working years. 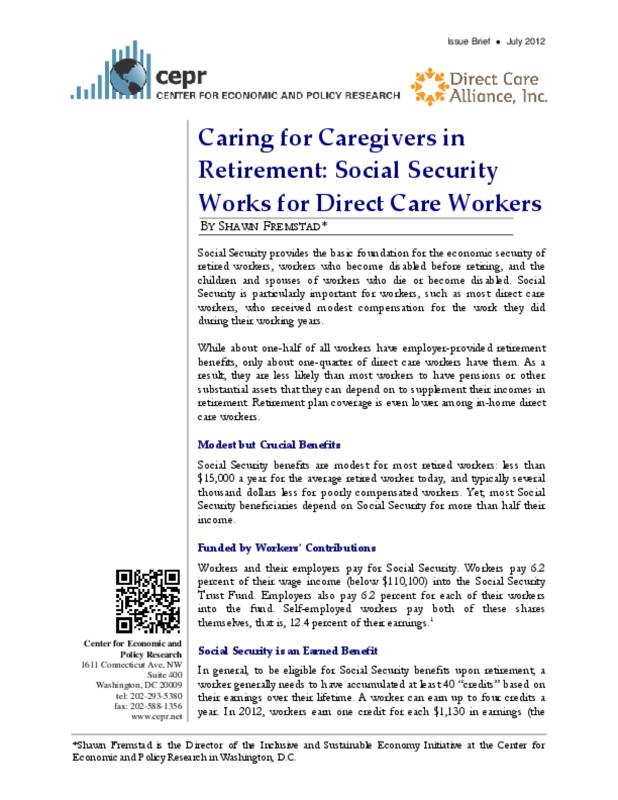 This issue brief looks at the importance of Social Security and how proposed cuts to the program would hurt direct care workers.